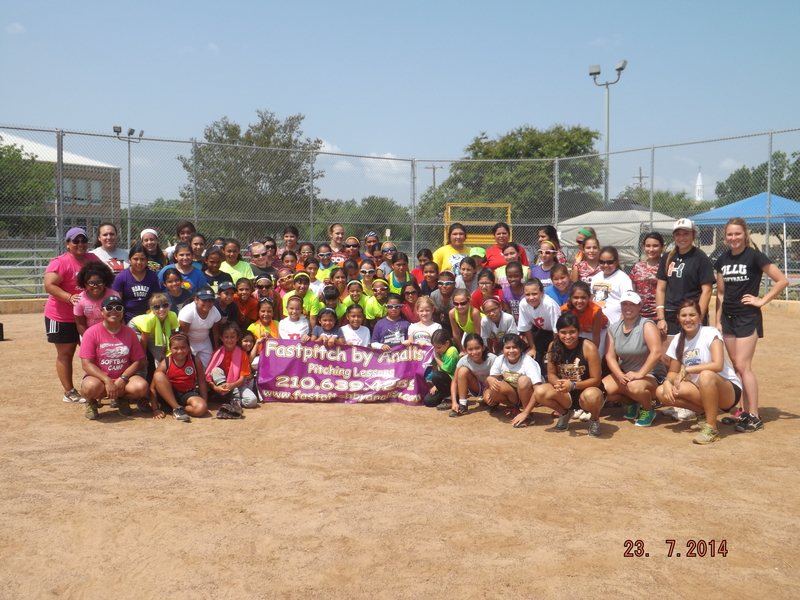 Seventy-four girls, ages 6 to 14, attended the summer camp on July 23, 2014 at Our Lady of the Lake University's Softball Complex. This was our largest camp to date. Special thanks go to the Head Softball Coach at OLLU, Coach Kling. He was supportive of Fastpitch by Analisa holding this camp at OLLU, and he was very helpful during the camp. A big thanks also goes to Steve Patmon at SJPA, LLC, for his sponsorship. Camp assistant coaches were Ashley Hinojosa, Christy Uribe, Jessica Idrogo, Maricela Bissaro, and Valeria Cantu (see bios). Other helpers were SA HITT players and pitchers Katelyn Corley (Antonian HS) & Tina Lopez (Medina Valley HS); Melissa Newberry (Brandeis HS); and Taylor Doege (2014 Signee at OLLU). 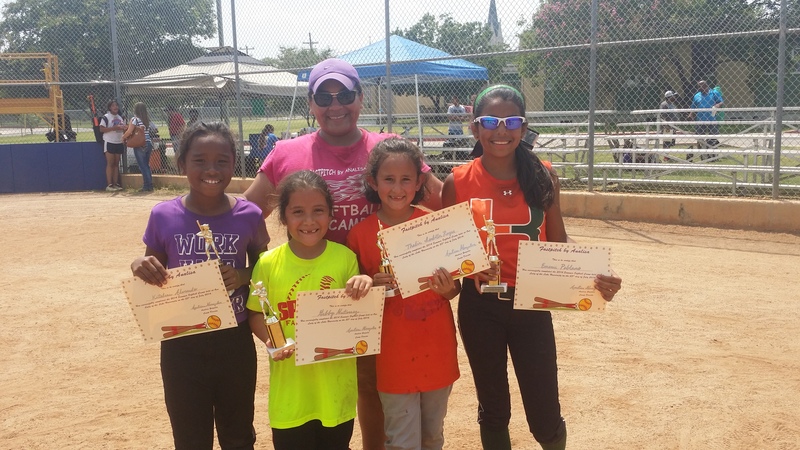 Special recognition goes to the following who got Outstanding Camper honors: Katalina Alvarado, Gabby Gutierrez, Thalia Reyes, and Emerie Poblano.